SCIENCE + ART: In addition to writing, Margaret creates and curates projects at the interface of science & art. In 2003, with her twin-sister Christine, she established the Institute For Figuring, a Los Angeles based practice devoted to “the poetic and aesthetic dimensions of science and mathematics.” At the core of this endeavor is a belief that ideas presented in symbolic form – through equations and textbooks – can often be engaged with by material modes of play: hyperbolic geometry can be crocheted; fractals can be folded from business cards; and seemingly impossible topologically forms can be woven out of paper. 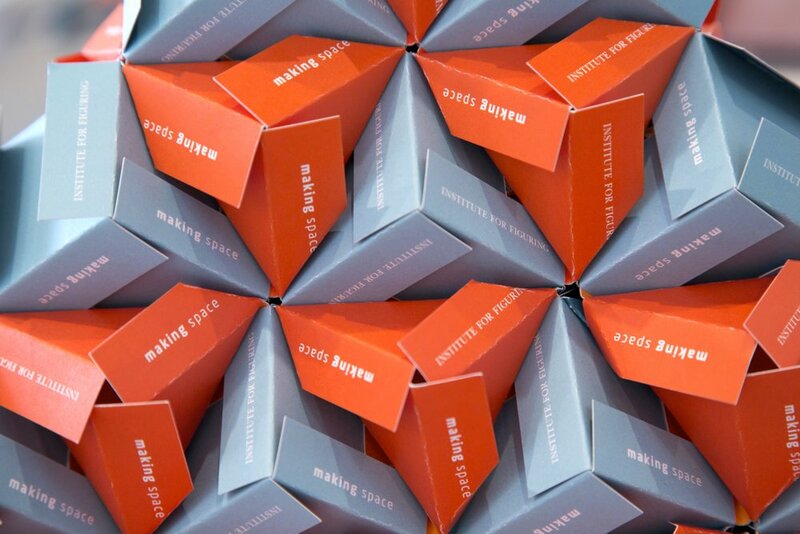 Over the past fifteen years, the Wertheims have created science-based exhibits and events for museums and galleries around the world, including the Hayward Gallery (London), Machine Project (Los Angeles), Art Center College of Design (Pasadena), University of Southern California (Los Angeles), and MASS MoCA. Their Crochet Coral Reef project is now the largest participatory art & science endeavor in the world. Through an unlikely conjunction of mathematics, marine biology, handicraft, and community practice, the Crochet Reef engages audiences with the foundations of geometry while also drawing attention to climate change and its devastating effect on marine life. 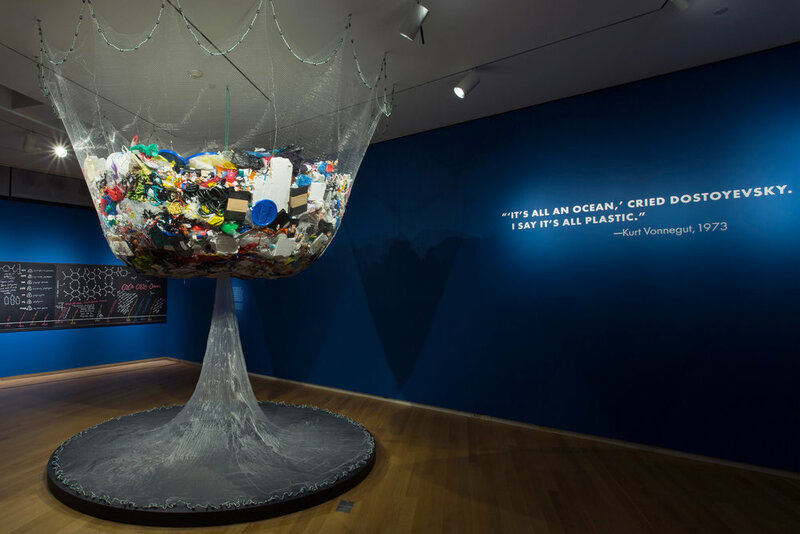 The Reef has been exhibited nationally and internationally, including at the Cooper Hewitt National Design Museum (New York), Track 16 Gallery (Los Angeles), Museum of Arts and Design (New York), Deutsches Museum (Munich), Science Gallery (Dublin), and the Smithsonian’s National Museum of Natural History (Washington D.C.).